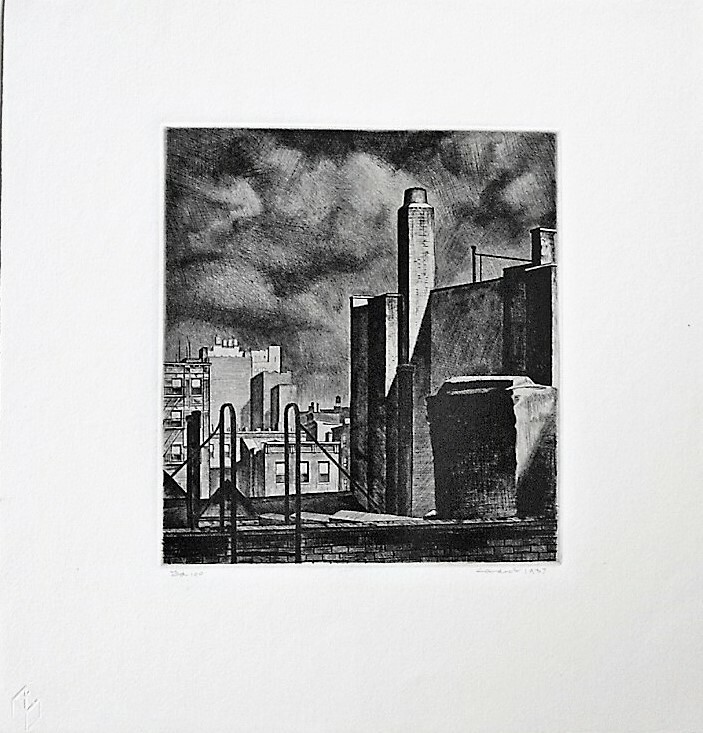 Armin Landeck. Approaching Storm, Manhattan. 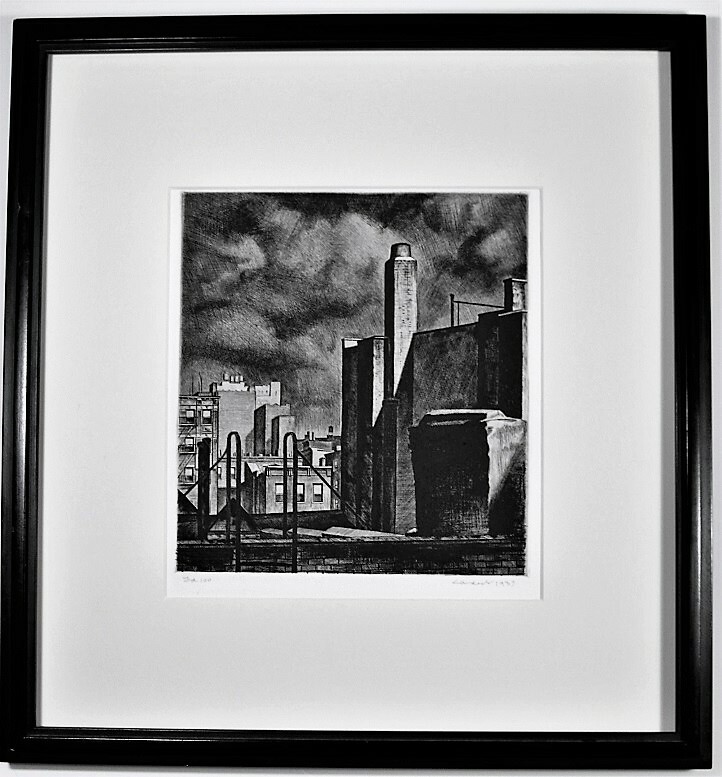 Manhattan's urban landscape provided Landeck with a rich source of imagery for his prints. 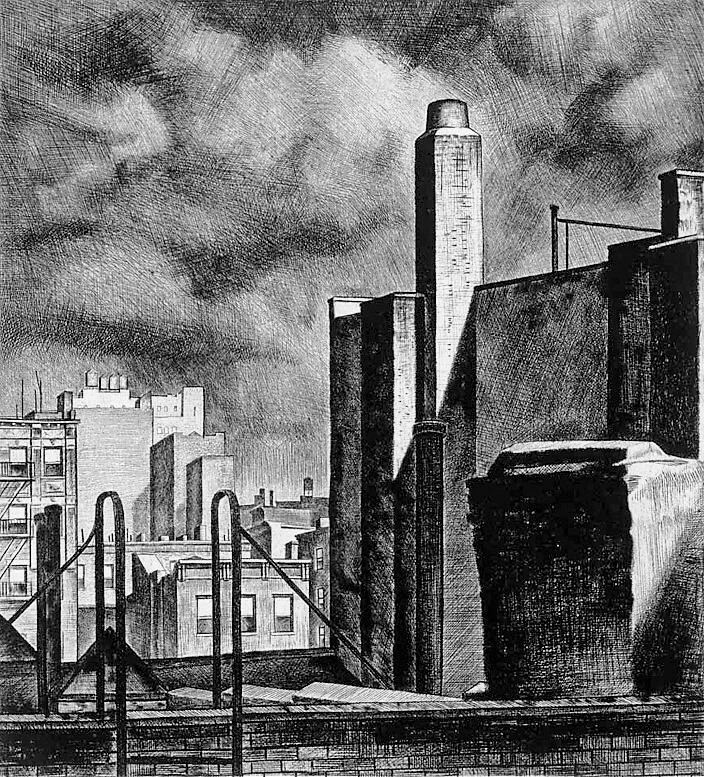 In Approaching Storm, Manhattan, the view of the city is from a rooftop where the curved top of the ladder stands in contrast to the hard-edged buildings and their angular shadows.